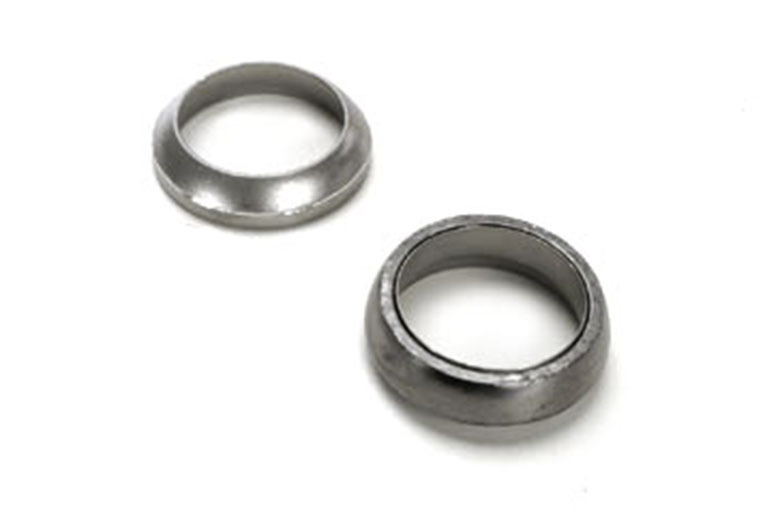 This is the donut (metal ring gasket) for the exhaust pipe-exhaust manifold flange connection. This fits either the 3-bolt manifold or the 2-bolt manifold. If you have a V8, you will need two. If you have a 4-cylinder, you will need only one. If you have a heat riser valve, there is also an additional flat gasket required between that and the manifold flange, SP13541.